Welcome to the 2019 NMRA International Championships, June 27-30, 2019. The NMRA has never been to Chicago, but it is going to be a great time in Lombard! We hope you will come out for the player information meeting at 7:00 pm on Wednesday, June 26, to get all of your questions answered. For all the information you need on this tournament, you can click here to go to the www.nmra.info site and see the Information Sheet for the tournament. We recommend you download it and bring it with you as you plan your trip and make your reservations. Please plan to come out to Chicagoland early to get used to check out the courts, see some sights, and relax before competition ramps up. For this four-day tourney, the first event is $85; second is $25 and, if you play two divisions, one of these must be doubles. You may request a doubles partner and/or a roommate and we will do our best. Enter online by June 14, or send in a US mail entry by June 10. You’ll get food and fun all week, in addition to our famous banquet slideshow and a great tournament shirt. No refunds will be allowed after June 14, when shirts will have been ordered and matches scheduled. Our host hotel will be the favorite Embassy Suites. Most travelers know the famous hot breakfasts, free happy hour drinks and amazing hospitality, in addition to the spacious suites. Geoff Peters got us a great room rate of $129 per night for one or two persons for a King room; $139 for Two Queens. Please take advantage of this deal, as there will be shuttle service from the host hotel only. Book your rooms early, as there are only 25 rooms blocked off for us at the Embassy Suites Lombard Oak Brook. The hotel is only two miles from the club, and the Saturday night banquet will be at the Embassy Suites ballroom. The club will be the famous Glass Court in Lombard. It is know for its three-glass-wall fishbowl court, where the professional players have competed for decades. If we need to, we will also book more courts at another nearby club. Most courts are cement-walled with top viewing. Thanks to Dan Laskier and his crew for allowing us to use the facility. 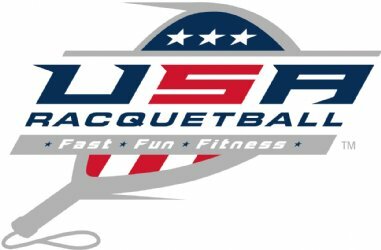 Geoff Peters and Cheryl Kirk are our local club member contacts, and they are both on the Illinois State Racquetball Association board. They know the area well and can make recommendations to enhance your stay. There is much more information available in the Info Sheet. In addition, there are many things to do in Chicago and north into Wisconsin so I had Geoff Peters write up a list of just a few. Call or email us if you have any questions. I look forward to seeing you in Chicago at check-in night on Wednesday, June 26, at about 5:00 pm. Thanks for considering playing our tournament. We think we have a great formula for providing the best bang for your travel tournament dollar, but we are always open to suggestions.